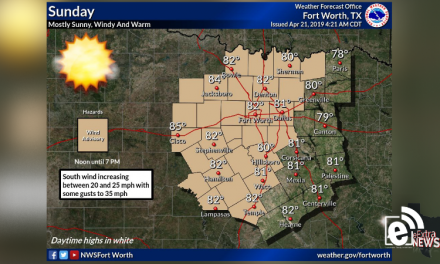 Saturday will be breezy for some, especially east of I-35. Temperatures will range from the lower 60s near the Red River to lower 70s across parts of Central Texas. 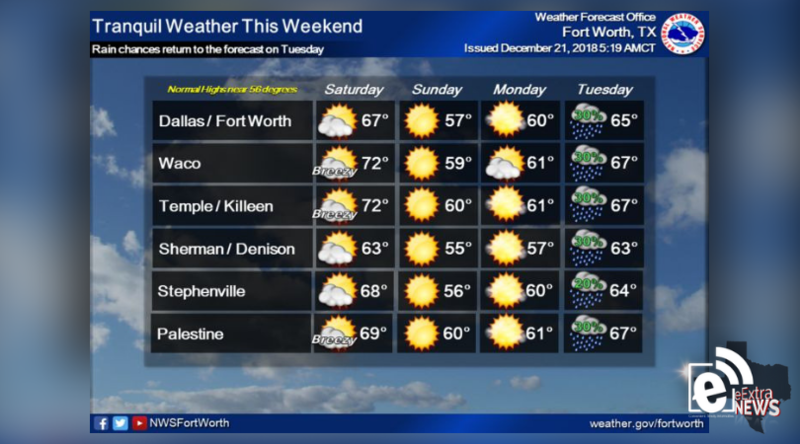 Sunny conditions will prevail on Sunday and Monday before rain chances return to the region on Tuesday. By mid-week, a strong jet stream and strong moisture return into the region and could lead to scattered to numerous showers and thunderstorms. At this time the NWS is monitoring at least some potential for severe weather on Wednesday.